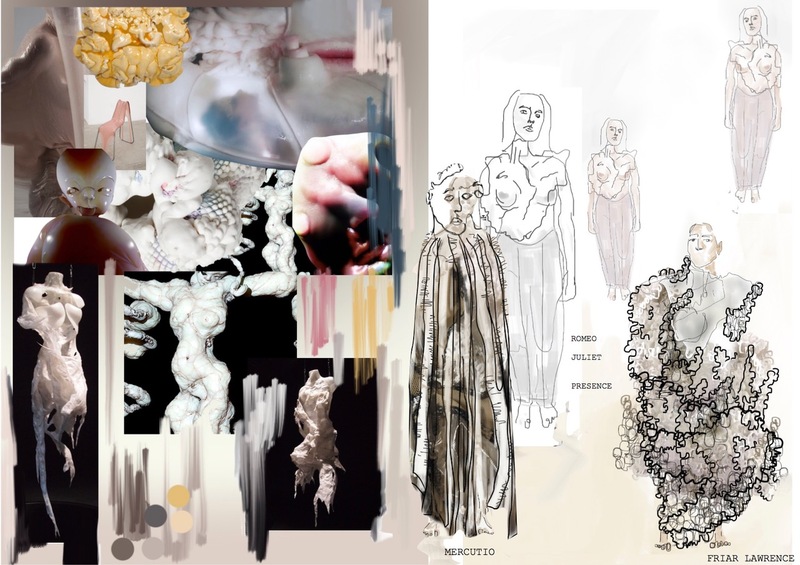 Final year BA Costume Design student Michelle Bondulich is from Berlin, Germany but grew up in Spain. She started her university journey at Camberwell, Chelsea and Wimbledon’s Foundation Diploma in Art and Design which is how she came to Wimbledon. As her final show is on display she answered our questions about her time at Wimbledon and her costume practice. Growing up in Spain gave me a lot, but I felt like I needed change, so I moved to London. I did this to immerse myself into the creative world and find out what it is I want to be creating. I chose to study at Wimbledon as it just felt right after I came to an open day. For me, it was a way to be close to textiles but away from fashion, a way of creating characters and making garments and structures come to life through movement and bodies. On my Foundation, it gave me a brief introduction of what this course was about, so I applied and felt like it was the right way to go at that moment. My current practice focuses a lot on the relationship between the performer, space and costume. What inspires me is finding a way to portray the story or character within the garment and movement. I tend to move away from using fabrics and have worked a lot with silicone and dissolvable fabrics. 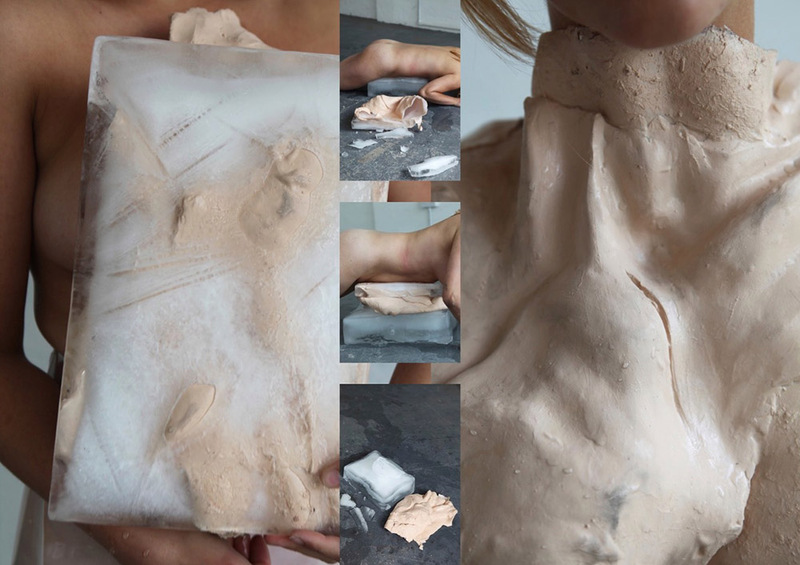 I find there is much more depth once the wearable pieces come to life, move in their own way and get transformed in reaction to the space and performers. In my practice I want the audience to feel and get immersed in whatever way. Leading on from this I am aware that materials I have been using are not environmentally friendly. This is something I believe is something vital we all have to focus on changing within our practice so where I can, I recycle. My final pieces for the Summer Show vary from film to silicone to cement to plastic to large blown up images! I focused this project on finding many ways of portraying a message using a specific type of material. I have spent most of my time in the casting workshop in Wimbledon and then documenting outside of university. This is one of my first projects where I have worked with physical forms and bodies to create a concept for a performance piece which focuses on the obsessive, destructive, physical and emotional relationship between Romeo and Juliet. I looked at contrast and the psychology of how we humans fall in love. During the first two years of my degree I have struggled to find a way to portray my ideas. I have always moved away from traditional making and drawing and have been inspired by a lot by fine art and short films. Having Kevin Freeman (Pathway Leader) introduced into the last year almost felt like rewinding and starting over again in the sense that I had time to think and express what it is that I want to make. It has been very helpful to have someone who is open minded with open eyes to direct you into a field that felt right. I’d also like to thank Bob, an external tutor, for the support in clarifying my ideas and how to take them further. I don’t have any specific plans after Wimbledon as I have worked in many different fields and I want a moment to think and see what London is like without education. I want to immerse myself into any creative freelance opportunities and focus on learning more skills. Specifically, I want to learn more about 3D programs and incorporating these into performance. Having enjoyed the sculptural side of making I have in mind that I might want to take an MA in textiles, but first it’s a year of no education! I haven’t been able to go to many shows but I always enjoy going to Chelsea’s Degree Show, especially the textiles and graphic areas! 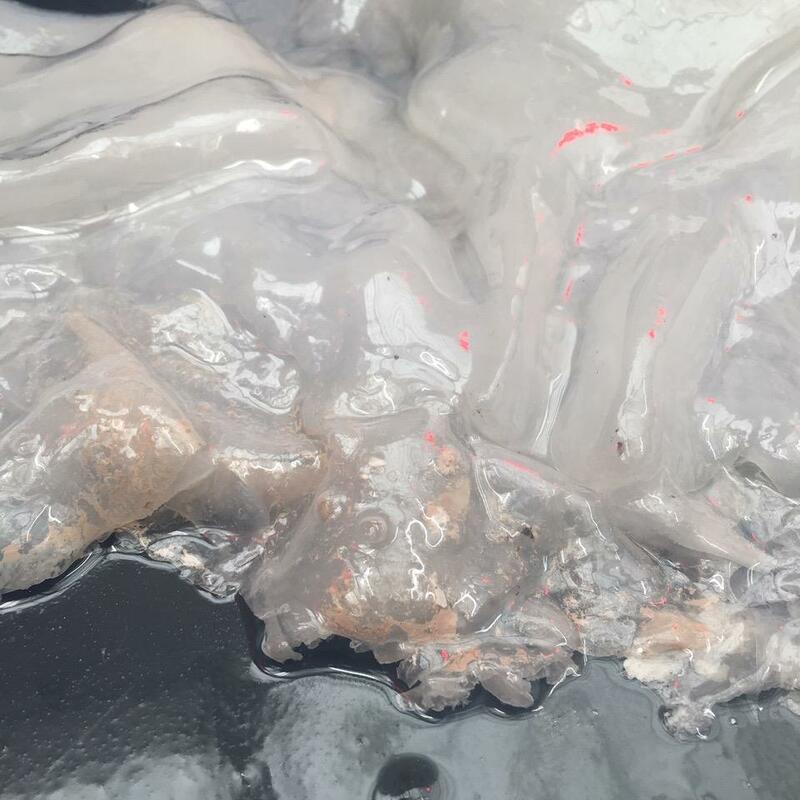 I haven’t been to many shows other than in Berlin where I saw a collaboration with Ed Fornieles and Donna Huanca and others, however I haven’t seen anything extremely inspiring for a while! I’d probably say it was my final piece which is displayed at the summer show! It felt like a complete project with a lot of trial and errors, performance and documentation. I also enjoyed my other ones where I tried to design in various styles. My biggest influences for my current work have been Jesse Kanda who has done a lot of the visuals for Björk. Rebecca Horns’ simple but genius approach on transforming the body has also inspired me. I like to go to various shows, especially the small ones! We did a collaboration with a dance company to make costumes for ‘Hansel and Gretel’ for Brighton Fringe. This was a lot of fun, as well as a learning curve, we learnt how to work closely as a team of seven designers and a group of dancers! Merging all of our designs together and then seeing these made and dance on stage was a great feeling. Do you have a favourite place in Wimbledon College of Arts? 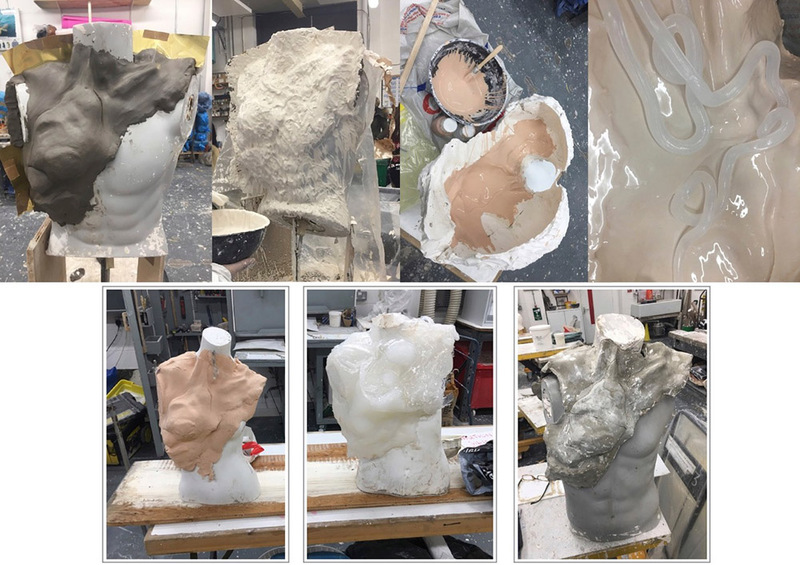 I really enjoyed spending time in the casting workshop and experimenting away in the dye room was also a thing! Do you have any advice for future students considering your course? Stick with your ideas and style! Make sure you visit every workshop and try as many ways of working as possible, there are so many facilities I have never even known about until the last year so make use of that! Have fun!